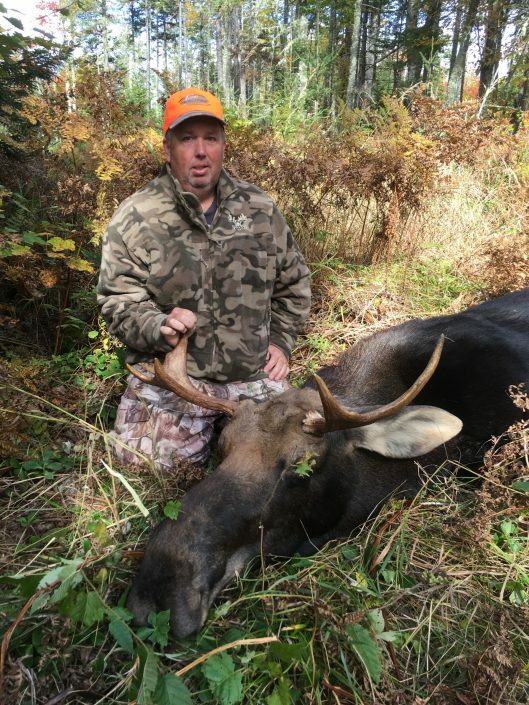 2018 Deer Season Special Rates! 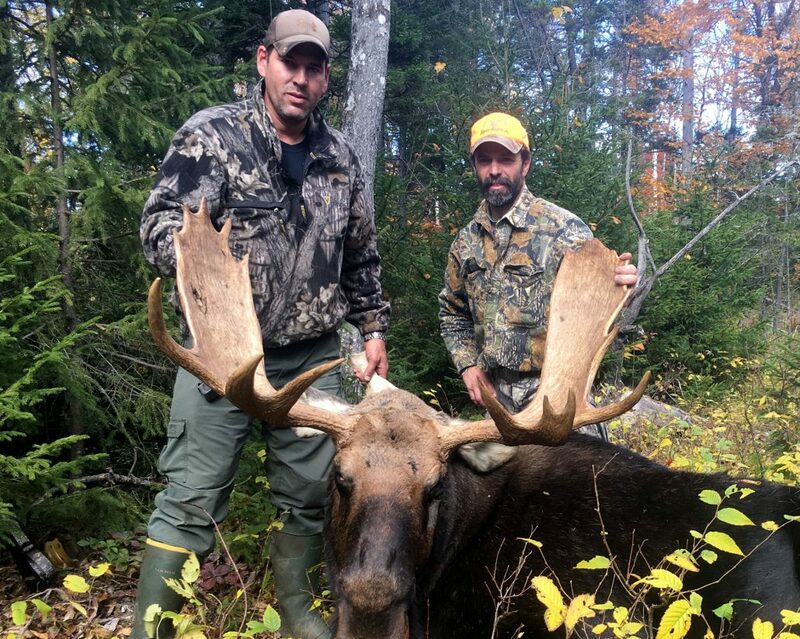 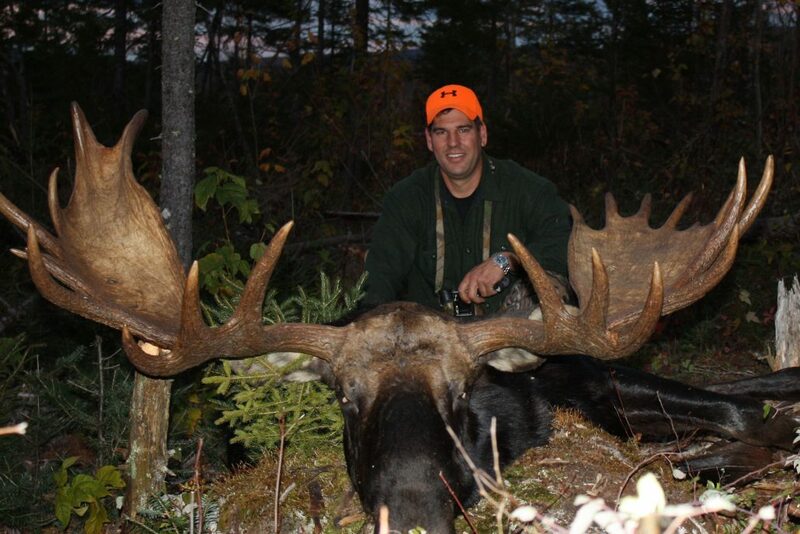 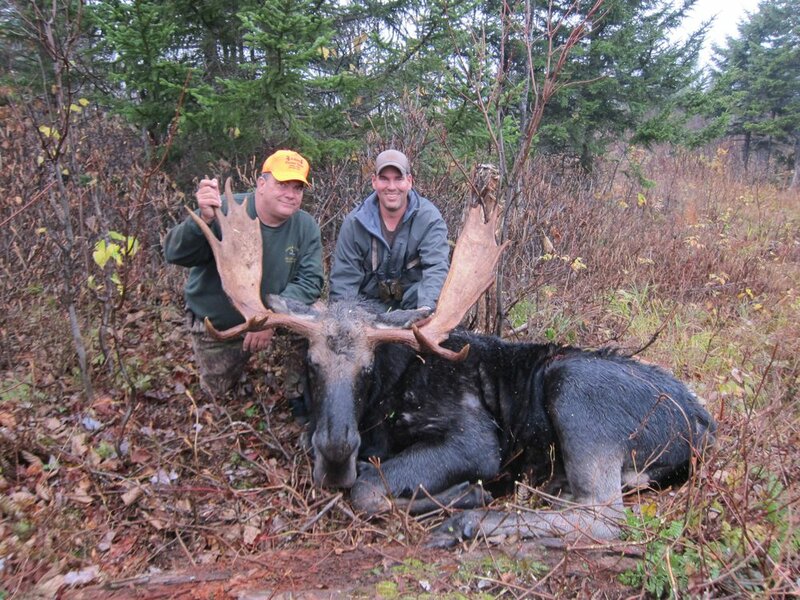 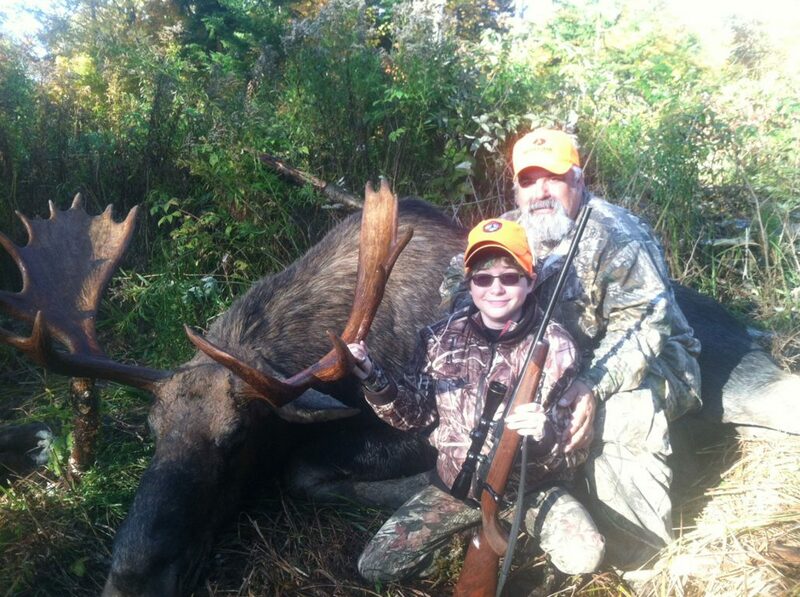 Moose hunting in Maine is one of the most incredible experiences that a sportsman can embark on. With the largest moose population in the lower 48, being selected in the Maine moose lottery provides a hunter with the chance to experience a traditional hunt unlike you’ve ever been on. Lake Parlin Outfitters specializes in traditional moose hunts which means our primary method of hunting is calling during the rut. 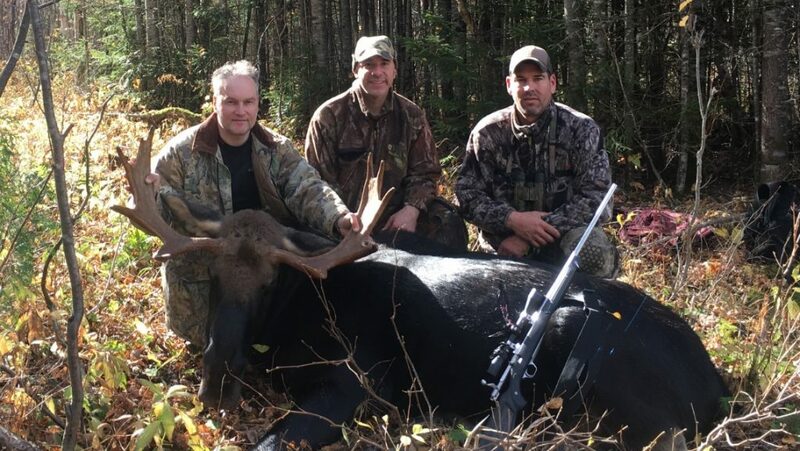 We spend countless hours during the off season scouting from the air and on foot locating the best bulls that are representative of the best Maine has to offer. 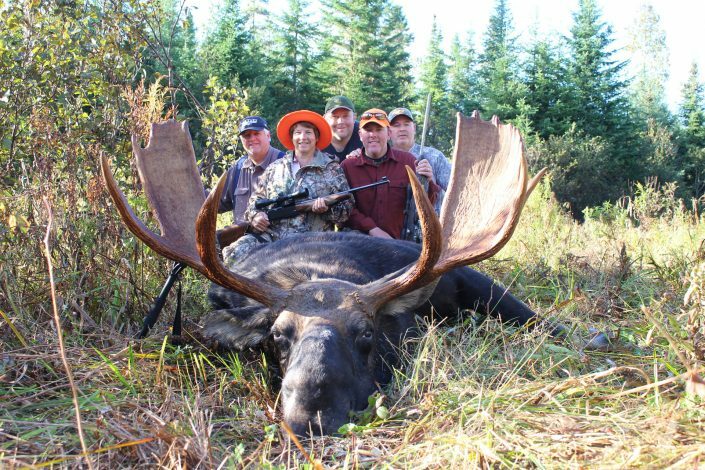 Our hunts in Zone 8 and 14 are based out of our main Lodge and hunts in Zones 1, 2, 4, and 5 are based out of our remote camps. 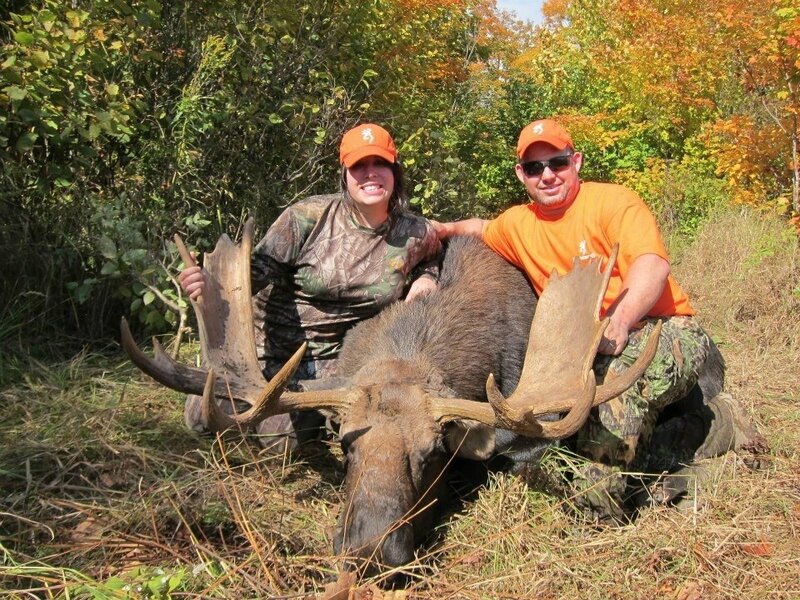 We book only a limited number of hunts to insure a quality experience for all of our clients. 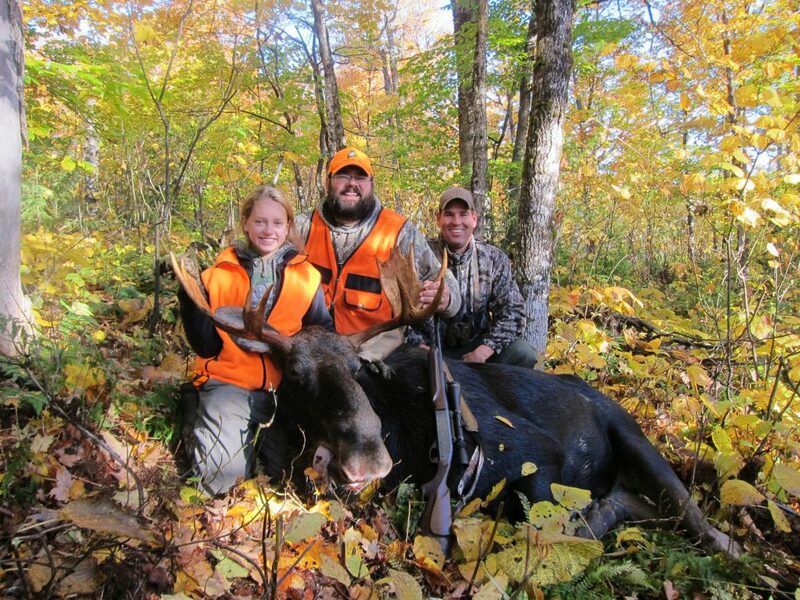 We never guarantee an animal but we do guarantee first class service and accommodations. For years hunters have come to our area to experience the ultimate in big woods outdoor experiences. 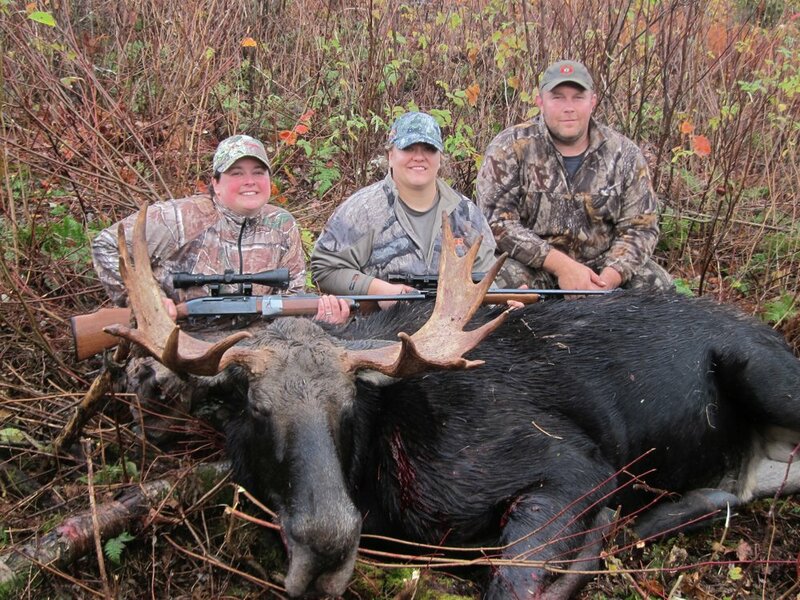 Come join us on the hunt to satisfy the primal urge that burns in all of us. 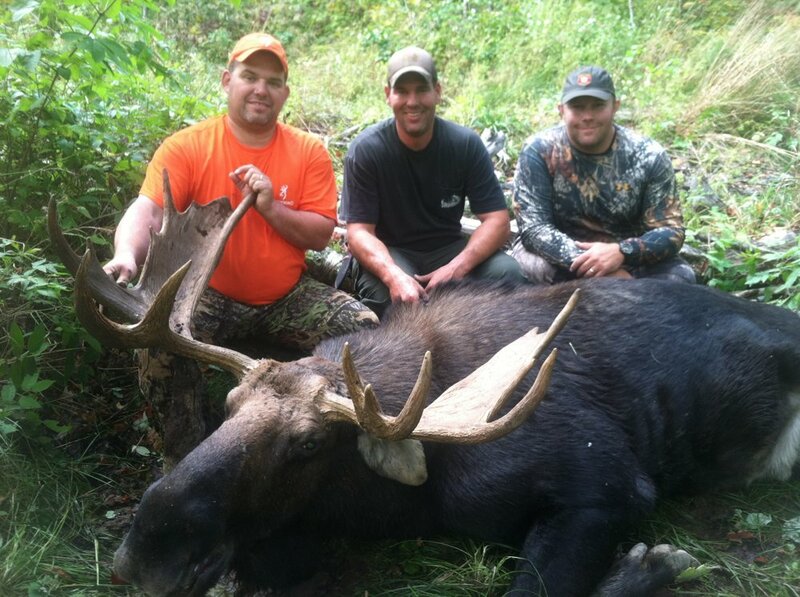 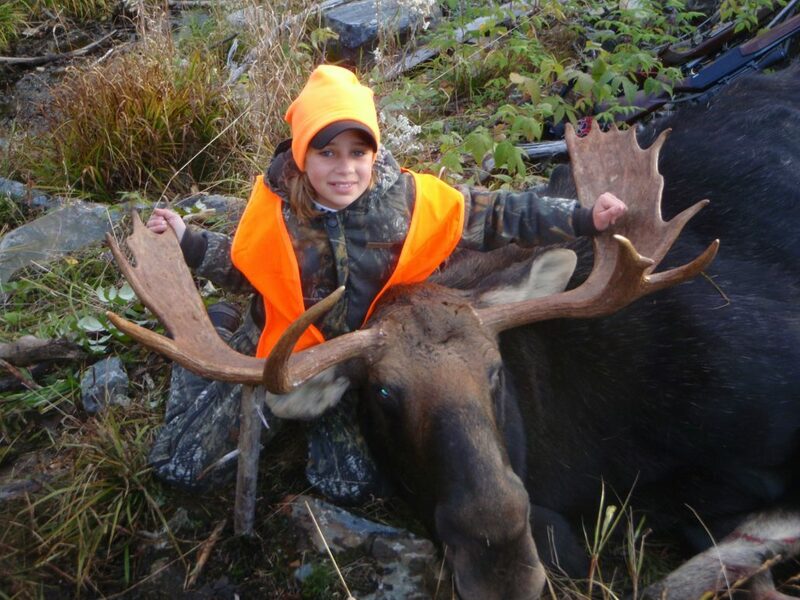 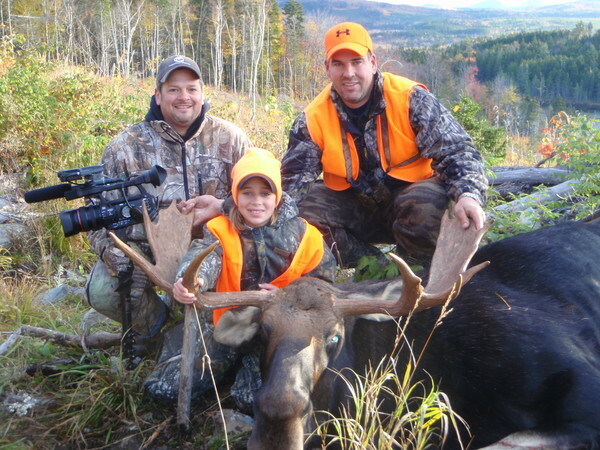 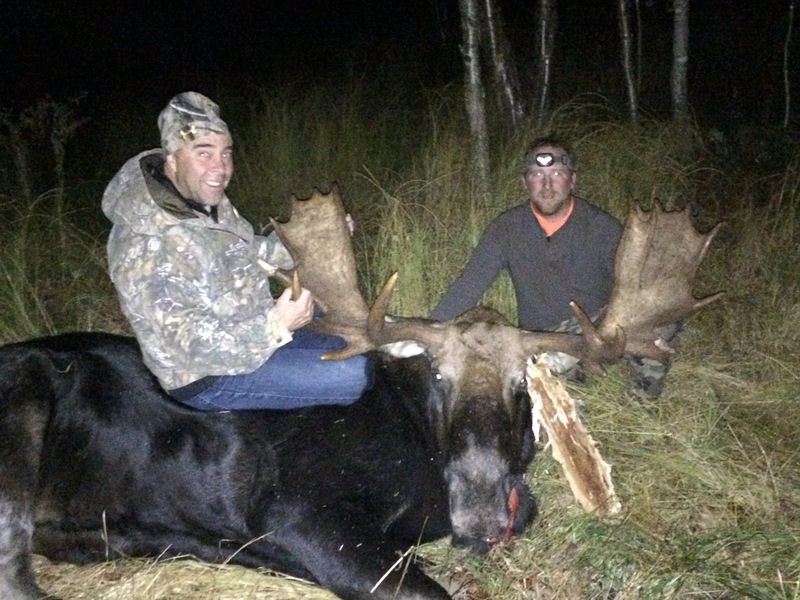 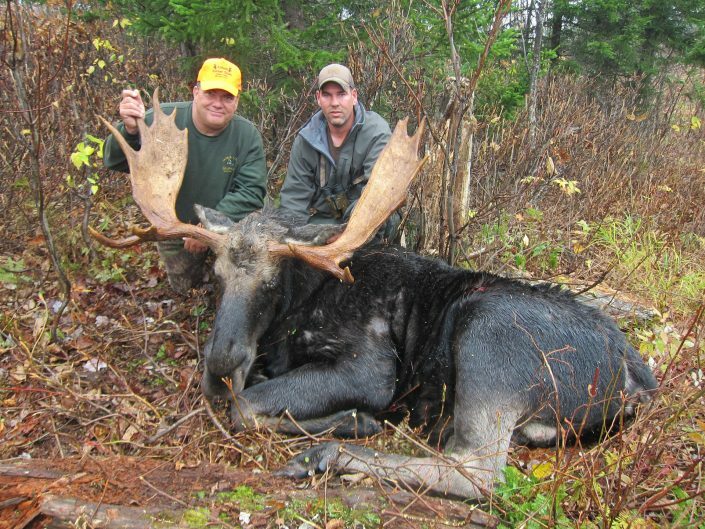 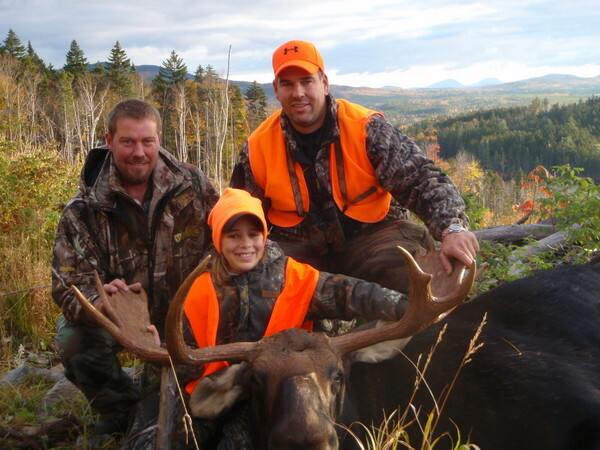 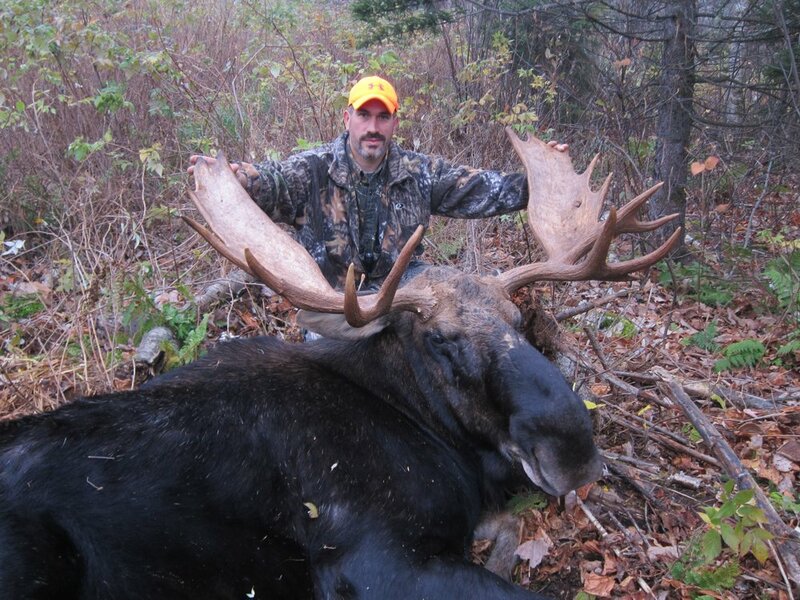 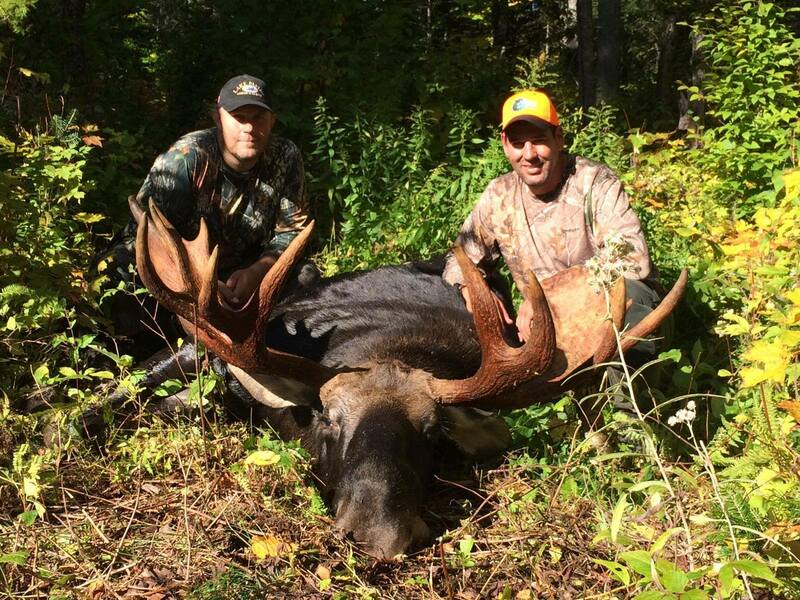 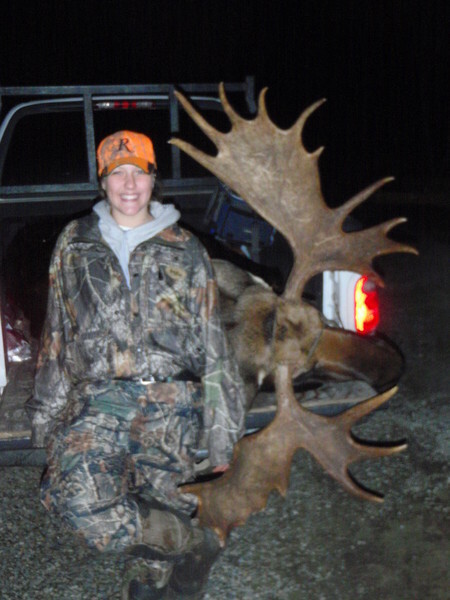 Whether this is a first time hunt for you or you’re an experienced outdoorsman and hunter, there is no doubt that a Maine moose hunt is among the top adventures in North America. 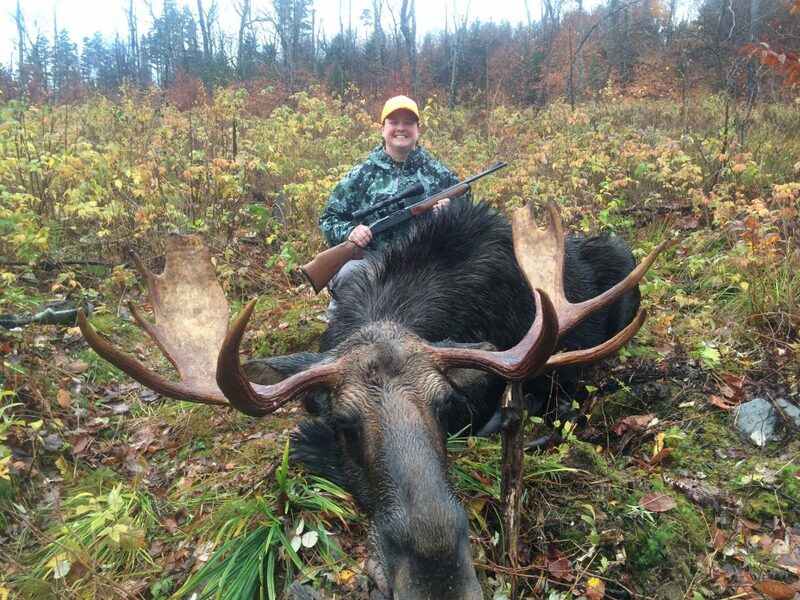 Moose hunting in our state has changed over the years. What used to be (and still is for some) a ride around on logging roads with large groups hoping to find a nice bull, has changed for the better in recent years. 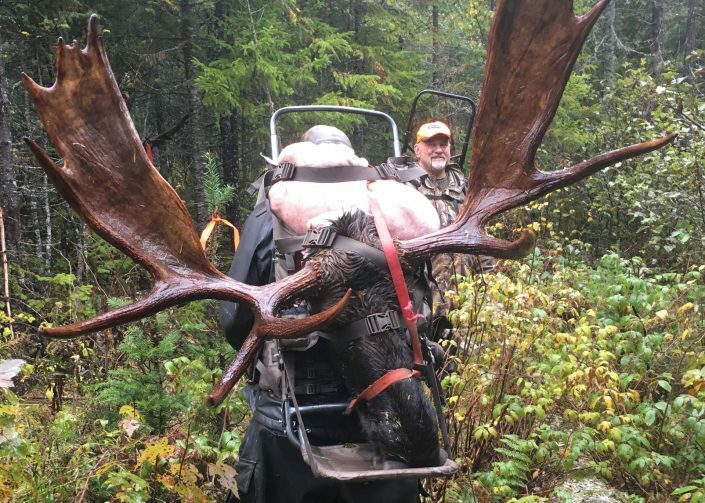 First of all, it’s not as easy as it used to be. 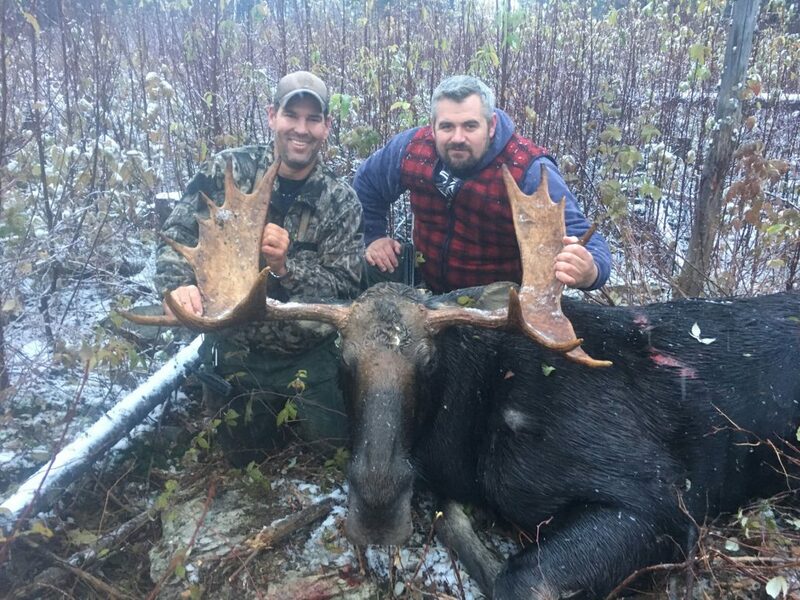 Cutting practices, moose behavior, and the herd size overall have changed the way a person has to hunt to be consistently successful. 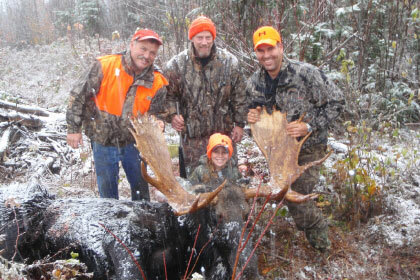 Secondly, as hunters discover the thrill of calling in a rut crazed bull, that’s all they want to do. 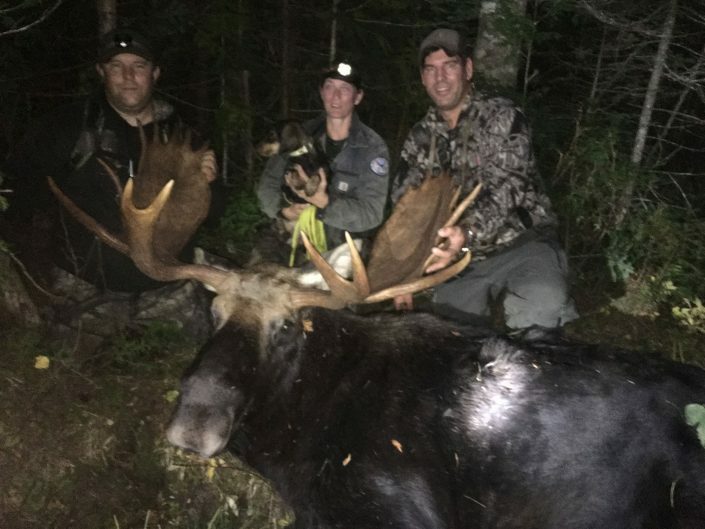 There’s always a chance, and it happens, that you may harvest a beautiful bull while driving from one location to the next, but our primary method is walking and calling. 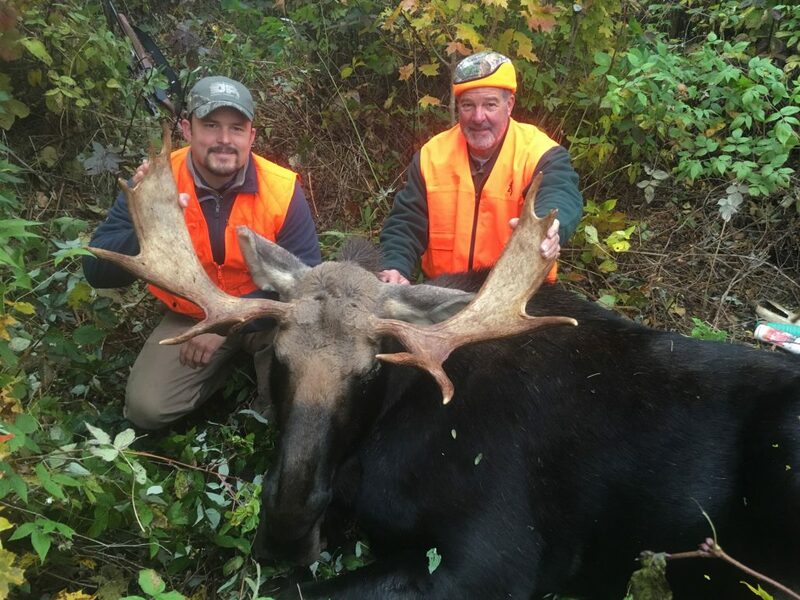 We put on many miles hunting the areas we know and have scouted to make sure you not only get the bull you’re looking for but the experience to go along with it. 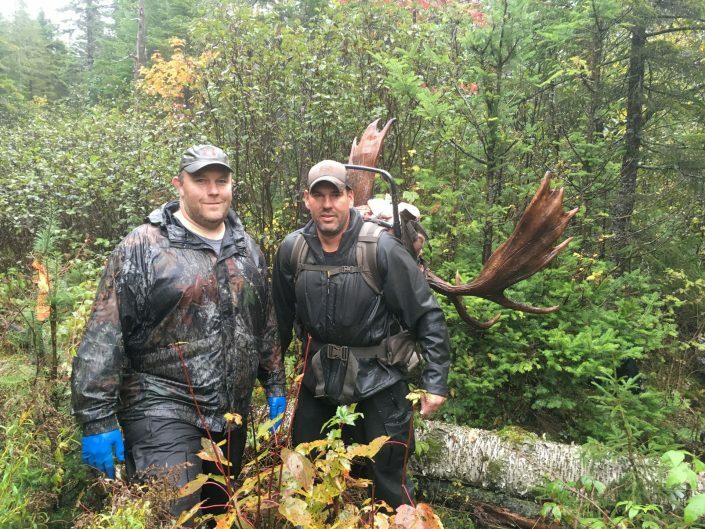 We spend a lot of time in the air before season locating animals that most people never see. 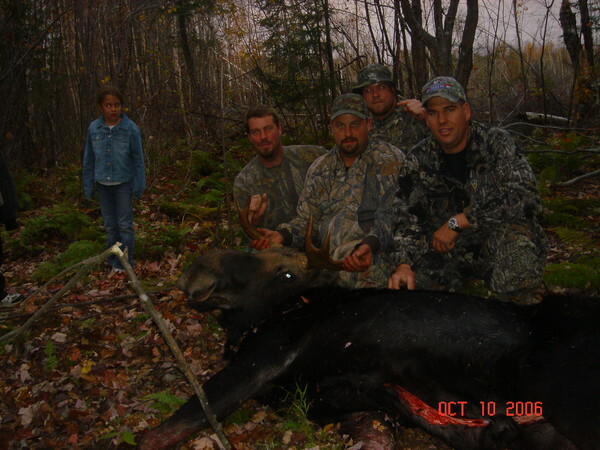 That, and the use of trail cameras, puts us in the right spots to ensure that you get your opportunity. 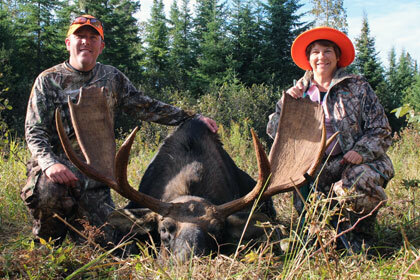 Although Lake Parlin Outfitters has a 100% success rate for guided hunts, no good hunt is ever a guarantee. 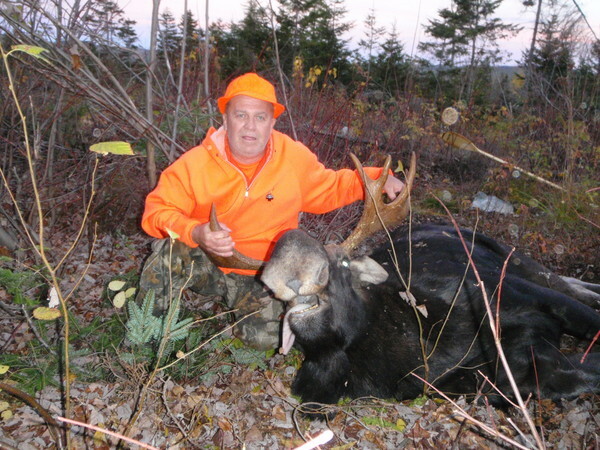 We have a maximum of four hunts each week so that we can give the attention that our customers deserve. 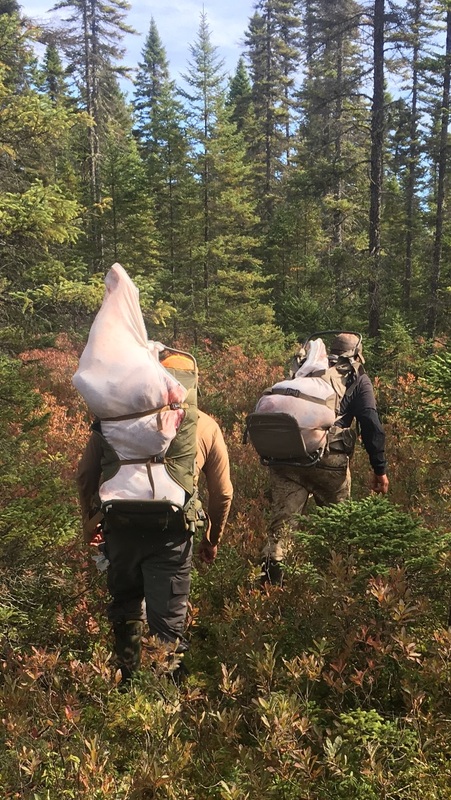 Each hunter has their own guide and as hunters tag out, guides will help out other hunters until all tags in camp are filled. Zones 8 and 14 hunts from our main Lodge. 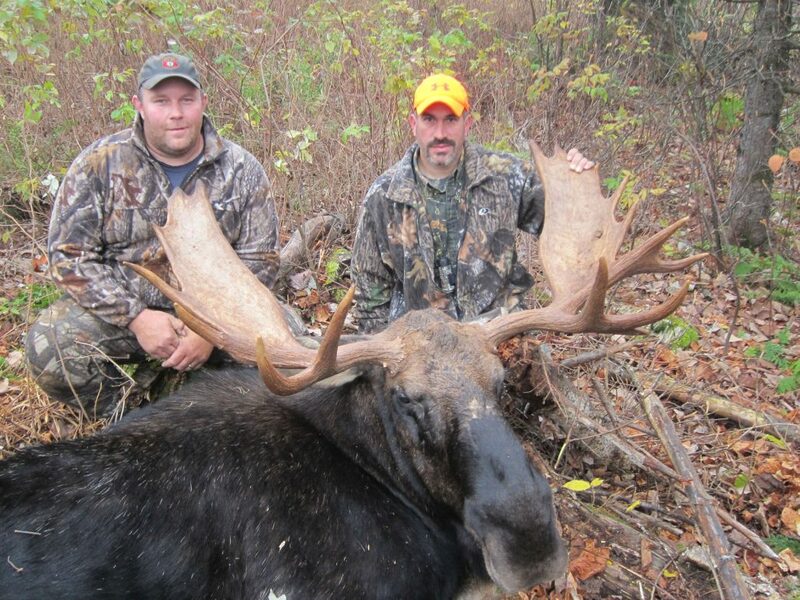 Price is for one on one fully guided hunt for one hunter and their sub permittee. 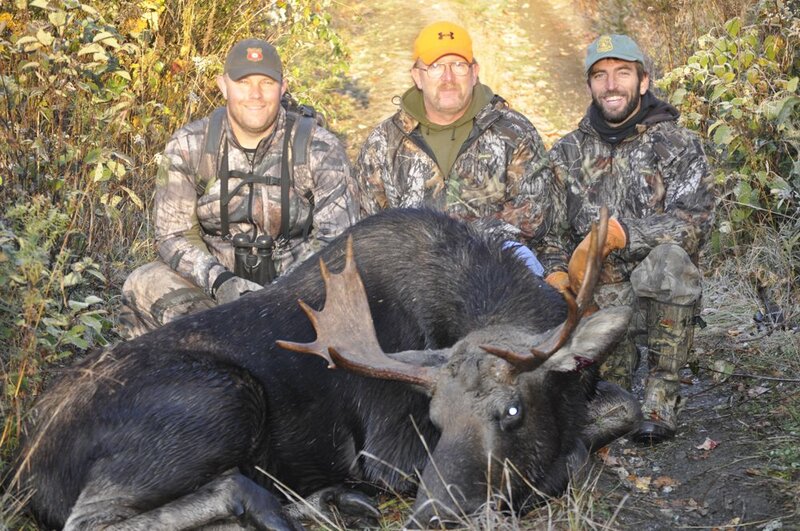 Price includes all meals and lodging from Sunday to Sunday. 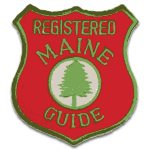 Lodging/ meals from Sunday night until the following Sunday morning. Modern tents and cots on remote hunts. 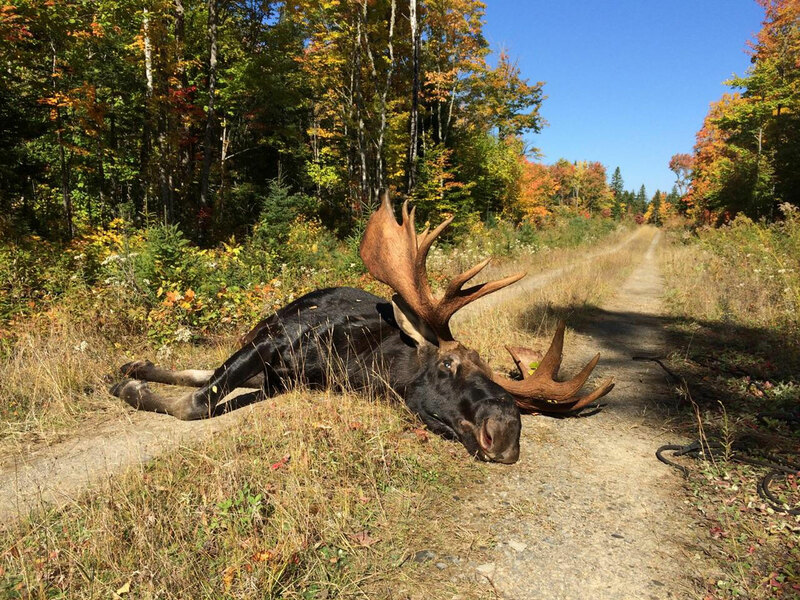 All transportation once you arrive at the main Lodge in Parlin. Field dressing and removal of your moose. 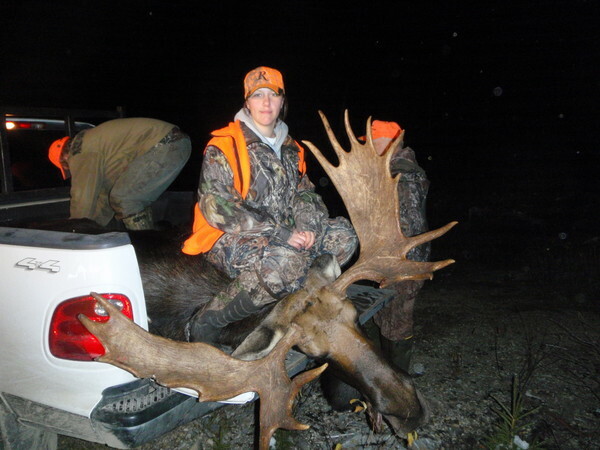 Transportation of your animal to the tagging station and butcher. 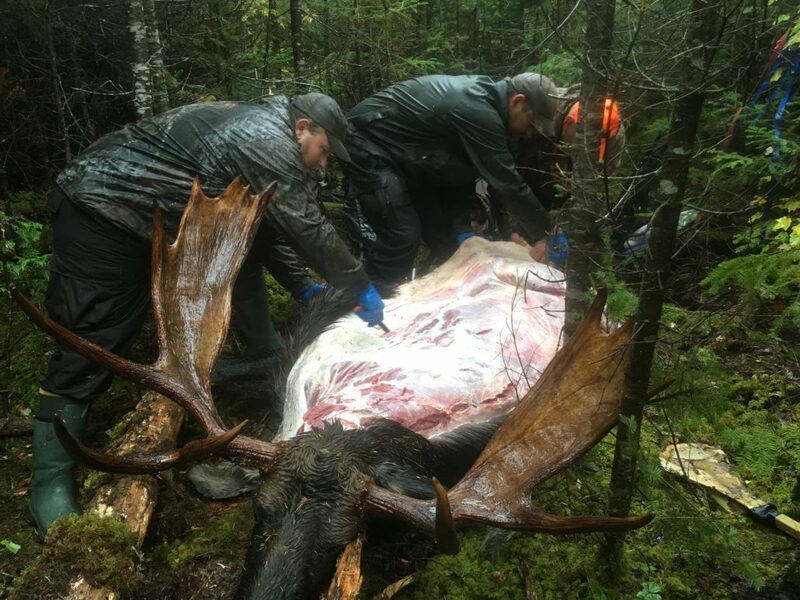 The hunter is responsible for their moose from the time we drop it off with the butcher but we are happy to help out in getting your meat home to whatever extent we can. 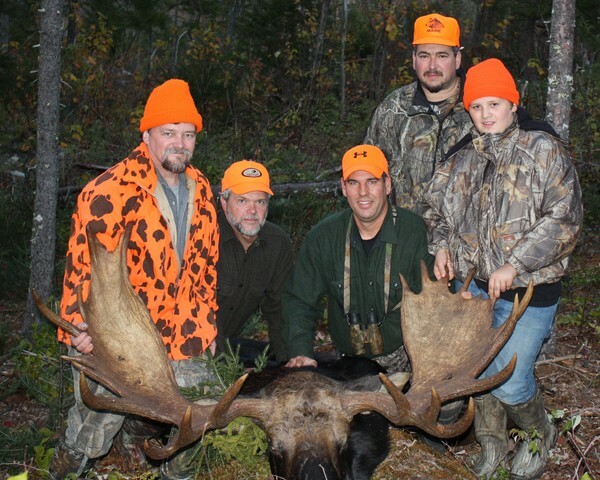 Remote hunts in Zones 1, 2, 4, and 5. 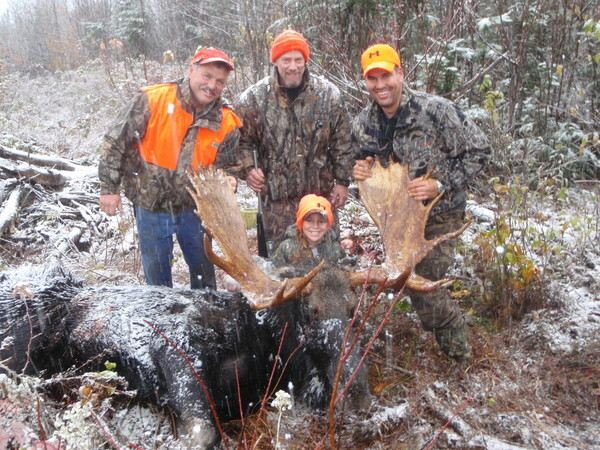 Price is for One on One fully guided hunt for one hunter and their sub permittee. 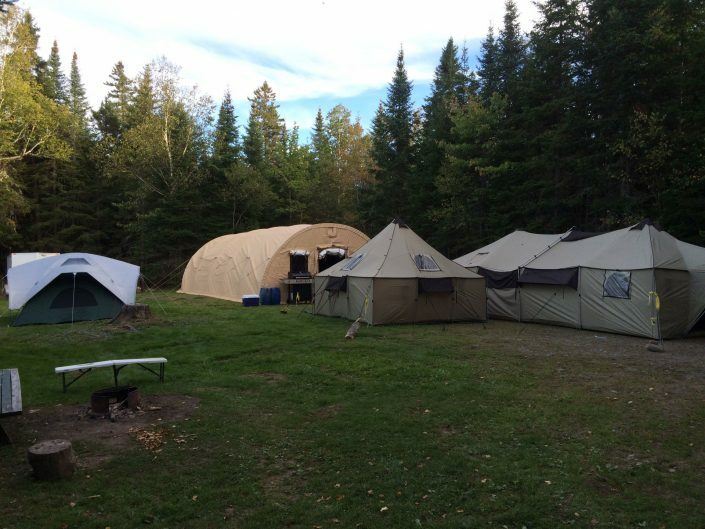 Price includes all meals and lodging at remote camp from Sunday to Sunday. 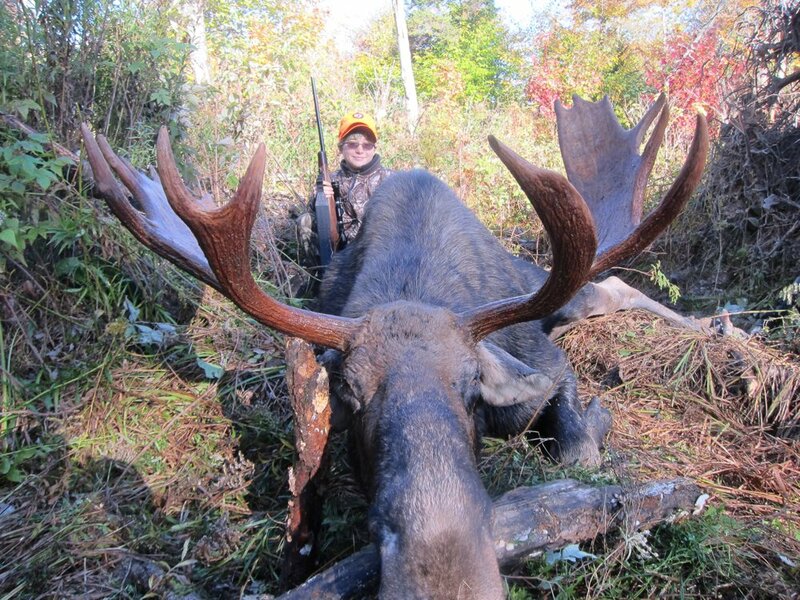 Firearm or Bow used for the hunt.